Much mythology has grown up around Scotch whisky but in reality a great whisky does not have to be the product of one distillery; nor should its age be a measure of quality. 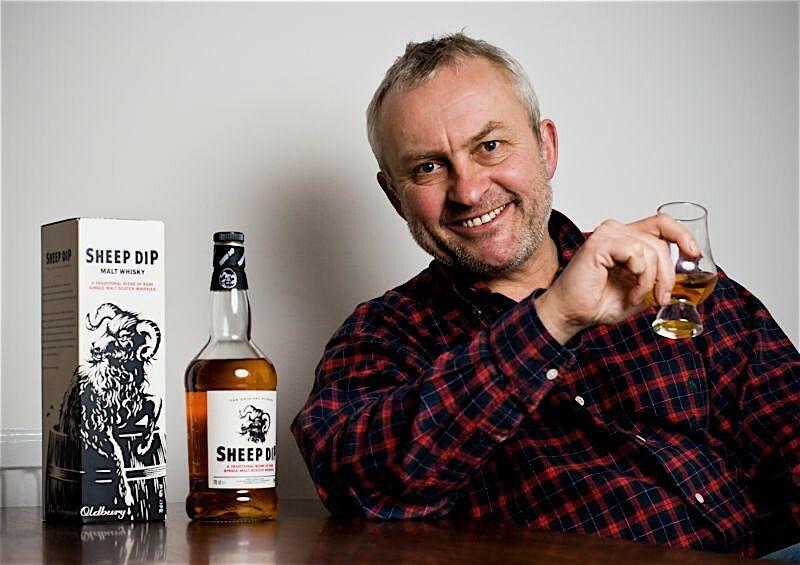 Richard Paterson, Scotland's renowned and only third-generation master blender, created the Sheep Dip "vatting" or marrying together 16 different Highland, Island and Speyside single malt whiskies. The whiskies are aged between eight-21 years, each adding unique characteristics to produce an exceptional product. These chosen whiskies are married together in fresh (first-fill) American oak barrels to produce the Sheep Dip Blended Malt. Sheep Dip takes its name from the English farming term for an insecticide once used on British sheep farms. There was a time when the farmers would distill their own whiskies and store them in barrels marked "SD" to avoid expensive distilling taxes, thus the term "Sheep Dip" became slang for whisky in the region. Eccentrically named, yet of unsurpassed quality.